LONDON (AP) — The World Health Organization says Ebola has spiked in Congo in recent days because of “increased security challenges,” a week after its director-general predicted the outbreak might be contained within six months. 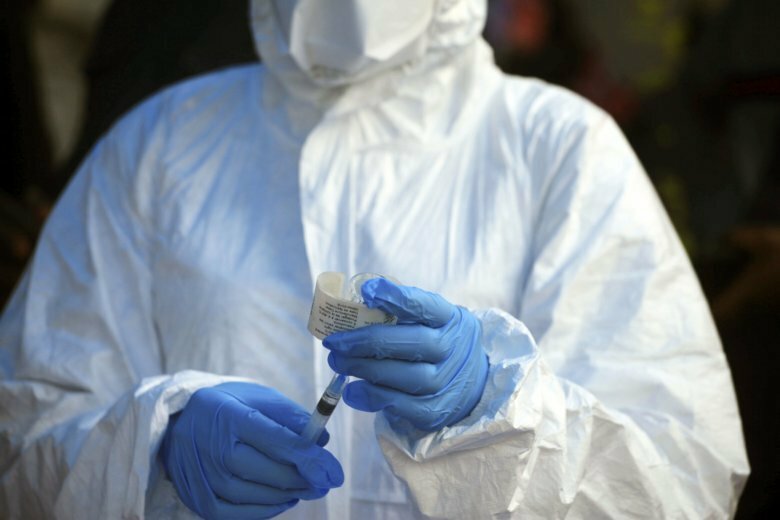 The U.N. health agency said in an update late Thursday the recent attacks on Ebola clinics slowed response efforts for days. Congolese officials reported dozens of new suspected and confirmed cases recently. Last week, WHO chief Tedros Adhanom Ghebreyesus declared the outbreak was “contracting” and praised the efforts to avert a larger crisis. “I think all of us in the field are aware that we’re very far from being near the end of this outbreak,” he said. Riebl said the recent jump in cases also points to ongoing surveillance failures. “The increase in cases also shows we are catching up with all the transmission that we haven’t previously been aware of,” he said. Outbreak responders have also been targeted by rebel attacks; Doctors Without Borders was forced to shut down two of its Ebola clinics in Eastern Congo after repeated attacks and has called conditions at the epicenter “toxic.” Eastern Congo is home to numerous armed groups and the Ebola epidemic has deepened the political and economic grievances of many in the area. “We understand why some people might be scared of this and we believe that the use of force should be a last resort,” Riebl said, adding that IRC doesn’t use armed escorts.